Mixed reality startup Magic Leap is one of the most-hyped businesses in tech, but after five years and $1.4 billion in funding from behemoths like Google and Alibaba, the notoriously secretive company still hasn’t released a product. A new report from The Information now peeks behind the curtain and reveals that Magic Leap is in much worse shape than its bluster suggests. The Information spoke with several former employees who say that by failing to release a product the company is falling behind the pack. Despite running an aggressive marketing campaign for five years and riding it to a valuation of $4.5 billion, Magic Leap is still in the developmental phases of its product cycle with no set release date while comparable products like Microsoft HoloLens are already on the market. One of the biggest looming problems for Magic Leap is its most mind-blowing technology is too big and cumbersome to fit into the spectacle-sized headset it hopes to release. The Information’s report says Magic Leap’s first prototype, which was used in demonstrations to raise funding, could never be reasonably included in a commercial product. 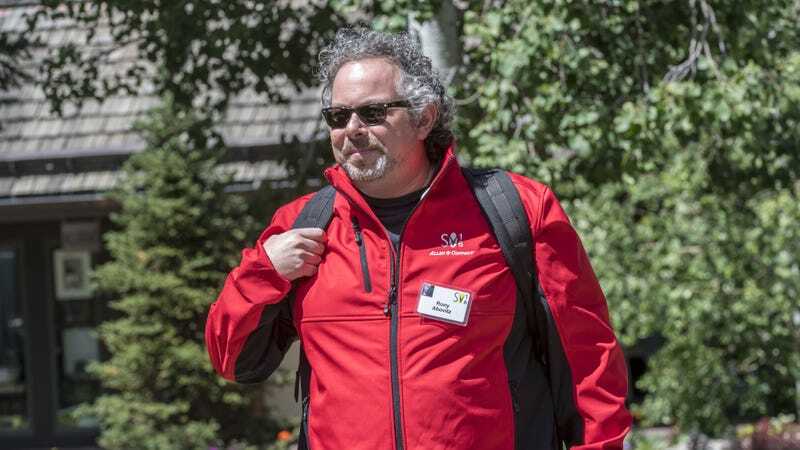 Magic Leap CEO Rony Abovitz told The Information he doesn’t get “precious about anything” and admitted many of the technologies developed by his company will never be used in a commercial product. Despite his acknowledgement of building unusable hardware, Abovitz says he expects Magic Leap’s device to be better than rival products. That all sounds sketchy as hell, but it’s not even the worst of it. Magic Leap has also, strangely, decided to build a critical component called “the diffractive optics” at a factory in Florida. The component is extremely difficult to manufacture and “a vast majority” of the diffractive optical elements used in this type of display are discarded at the factory because they’re so difficult to build. Nonetheless, Magic Leap is going to try build the components themselves, calling into question just how Abovitz and company are deciding to use their stockpile of investment money. Another concern is the company’s gigantic 800-person team spread out across the world. It’s many many times bigger than most hardware startups are when they release products. As the story points out, Nest had just 75 employees when it released its first product. Sure, Magic Leap’s vision is more complex than just a smart thermostat, but at some point things start to get ridiculous. Sounds awesome! Unfortunately, the story glossed over the fact that the company didn’t have technology it would show the public, or that it was very behind in efforts to bring itself to the public. Wired wasn’t alone in wondering what mysteries lurk in Magic Leap’s labs. Back in 2014, Gizmodo wrote a huge dive on Magic Leap in which we tried to deduce what the hell the company was working on. Indeed, if Magic Leap has really substantially produced anything over the last five years it’s hype. Just look at this video shot from the perspective of one of its employees who is supposedly wearing the mythical headset we haven’t yet seen. It’s awesome and makes me drool with desire for the tech. There’s only one major problem: The video isn’t real. It was made by a special effects company called Weta Workshop. So when the heck will we see our first Magic Leap product? Who knows. The last we heard, Magic Leap claimed a product would come “soon.” We’ll obviously have to wait and see whether Magic Leap’s first product is as revolutionary as the company has promised. The longer the company waits and the more money it burns, the better it’s going to have to be. We’ve reached out to Magic Leap for comment and will update this story if and when we hear back.